Seeking ways to help your child perform better in math tests and exams? You may have to bid farewell to the familiar approach of amassing general purpose assessment books and test papers for practice drills, which may do little to cultivate interest or true understanding. “Students who avoid making an effort to understand mathematics concepts may succeed in some school environments; but a lack of deep, critical, and creative thinking may seriously penalise these students later in life when confronted with real, non-routine problems,” notes a report by the Organisation for Economic Co-operation and Development, which conducts the triennial PISA1 (Programme for International Student Assessment) benchmarking survey to evaluate education systems around the world. This is the reason that the Ministry of Education’s primary math syllabus2 places an emphasis on developing students’ thinking, reasoning, communication, application, and metacognitive skills through problem solving. 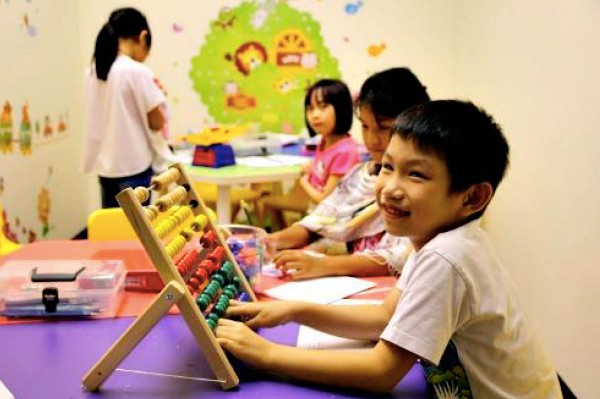 For your child to excel at Singapore Maths, going beyond rote learning will be essential, and here are some tried-and-tested strategies for honing your child’s math skills. A study that reviewed 37 research documents on classroom questioning3 found that the use of questions in teaching is positively related to fact retention and student achievement. Questions can be employed to achieve different objectives, from generating interest to motivating students, as well as moulding inquiring attitudes and critical thinking skills. As a parent, what questions can you ask when working on math concepts and problem sums with your child? What problems like this have you solved before? What heuristics did you use before? What heuristic is most suitable for solving this problem? What if this part of the problem is changed? Math manipulatives are physical objects such as counters, blocks, and interlocking cubes, which are used for teaching math concepts. A research paper on the effectiveness of manipulatives4 in teaching primary mathematics studied the use of manipulatives over different grade levels and in several countries, and through its literature review, found that most of the studies examined showed an increase in math achievement when manipulatives were put to good use. The paper cited several advantages of using manipulatives, such as improving understanding and retention, as well as reducing math anxiety. The Singapore primary math syllabus emphasises metacognition5, which National Institute of Education assistant professor Lee Ngan Hoe defines as “thinking about thinking.” He says that students who practice metacognition will consider why they selected an approach to solve a problem, which will lead them to monitor, evaluate, and regulate their thinking. Educators and parents can play a role in encouraging such thinking to take place. “Metacognitive instructional strategy is when the teacher knows that this is important, and gives key prompts to students to be more aware of their thinking by either questioning, thinking aloud, or discussing with others what they are thinking,” says Lee. “If we can develop our students to be more metacognitive, we are in effect helping them engage in the practice of expert problem solving, which is what we all want at the end of the day,” adds Lee. Giving your child mini assessments with a single goal, to easily track concept mastery. Relying on rubrics, rather than a points system. Points can be skewed depending on the difficulty level of the test, but rubrics will help you ascertain if your child is mastering the necessary skills. Using different modes of assessment to get a complete picture of your child’s understanding—apart from question-and-answer assessments, you can use discussions, demonstrations, and observations to measure understanding. Continual assessment is said to enhance motivation in various ways, such as by emphasising progress and achievement, and building confidence. When students use rubrics, they can define what constitutes a “good” performance, and therefore begin to assess their own work with greater clarity. With the habit of continual testing in place, you can work with your child to set goals based on current results, reinforcing the healthy learning attitude that success is achievable with consistent, purposeful effort. S.A.M is a proponent of personalised learning; at its centres, new students are given a placement test to determine their math understanding and ability. Following which, a S.A.M trainer will prescribe a learning plan for the student to follow at his or her own pace. During S.A.M’s hour-long classes, a trainer works with each student for about 10 minutes (or longer if required) to review mistakes made in the previous week’s assignment and ensure that doubts are cleared up before moving on. When the student is ready, the trainer introduces a new concept via hands-on activities that involve props, games, and learning tools; this takes about 30 minutes, and there may be an in-class assignment to complete as part of guided practice. The student then applies and reinforces the new knowledge with worksheets to be completed at home. 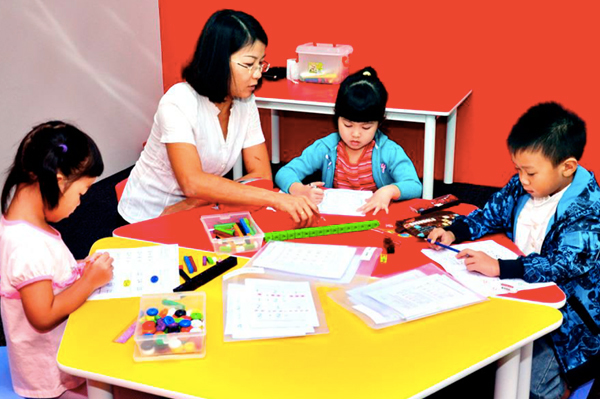 Seriously Addictive Mathematics (S.A.M) is a multi-award-winning enrichment programme for children aged four to 12, based on the Singapore MOE’s primary mathematics curriculum. The S.A.M programme combines the benefits of personalised classroom teaching and self-learning worksheets to improve children’s mathematics achievement and develop their higher order thinking skills, such as problem solving, metacognition, critical thinking, and logical reasoning. Each student receives a personalised learning plan so that the student can learn at his or her own pace and ability. A low student-trainer ratio in class means the S.A.M trainer can better engage students and assess their learning progress. Classroom teaching is based on personalised instruction with interaction between the S.A.M trainer and the students. New concepts are taught through hands-on activities so that learning mathematics is fun and interesting, and students can develop a better understanding of concepts. S.A.M’s step-up worksheets7 are designed to introduce concepts with incremental levels of difficulty, so your child will gradually acquire the skills to solve problem sums. The work is never threatening, but always motivating to your child. In the process of learning math, your child will also develop self-discipline, self-confidence, and perseverance. Developed by former school teachers and textbook publishers, S.A.M is trusted and recommended by parents in 16 countries—it is the only programme your child needs to excel in mathematics.